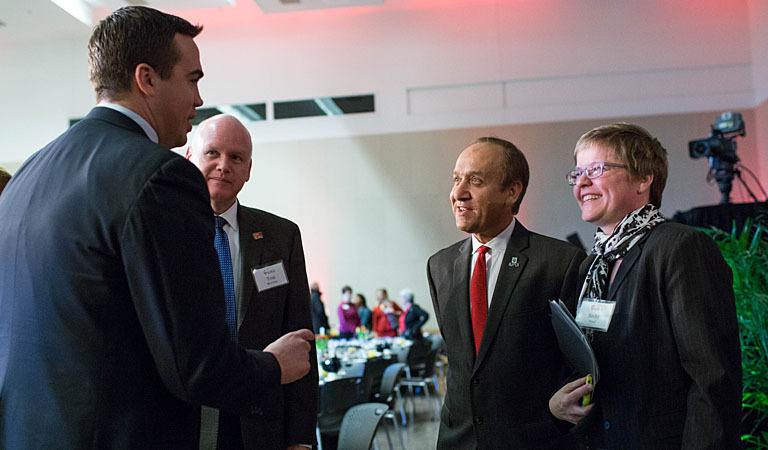 Chancellor Nasser H. Paydar and Becky Wood greet guests Ryan Vaughn, President of Indiana Sports Corp, and Tom Morrison, IU Vice President of Capital Planning and Finance, at the 2017 IUPUI Report to the Community. 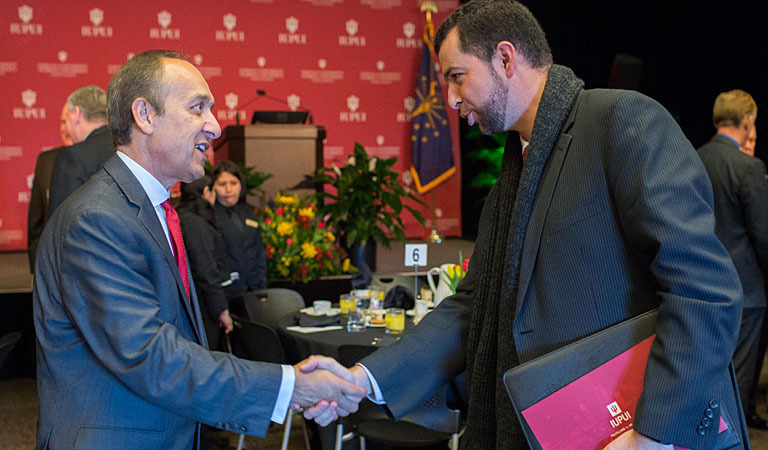 Chancellor Paydar greets guests at the 2017 IUPUI Report to the Community. 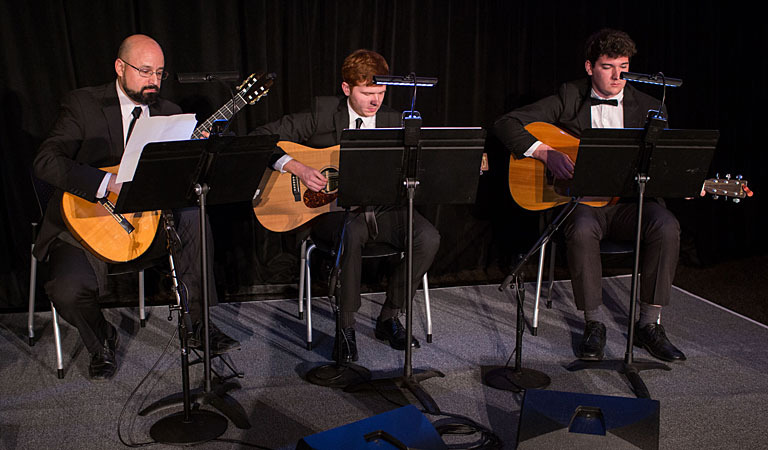 Musicians John Alvarado, Nolan Cox, and Austin Jones provide wonderful ambience at the 2017 IUPUI Report to the Community. 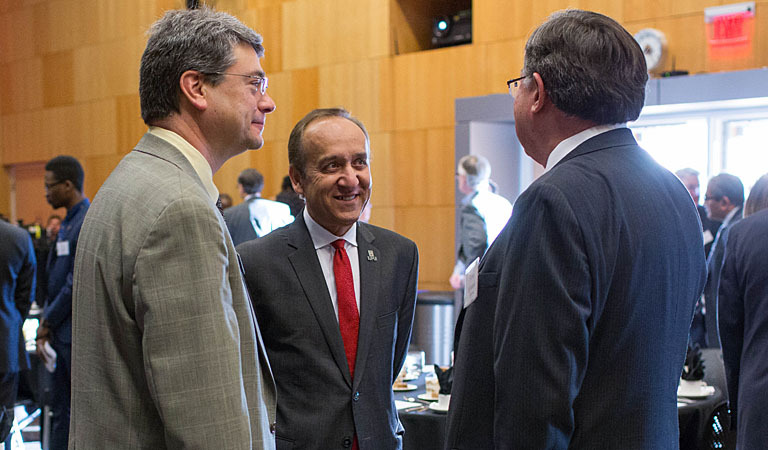 Chancellor Paydar and Dean Russomanno speak with guests at the 2017 IUPUI Report to the Community. 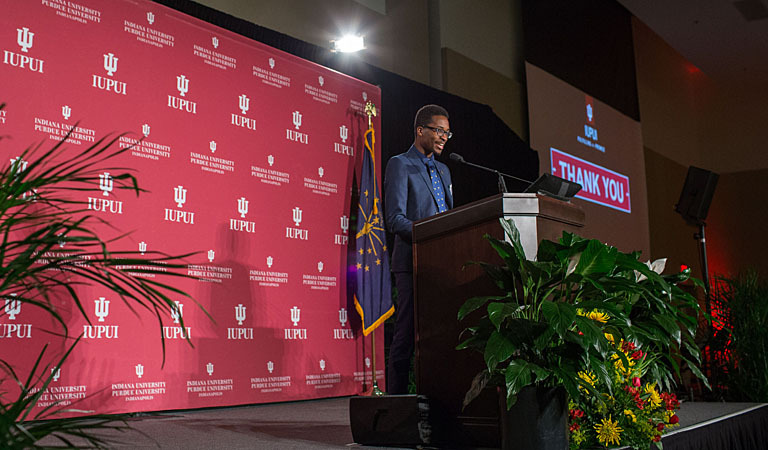 IUPUI Undergraduate Student Government President Mosopefoluwa (Sope) Ladapo serves as student emcee at the 2017 IUPUI Report to the Community. 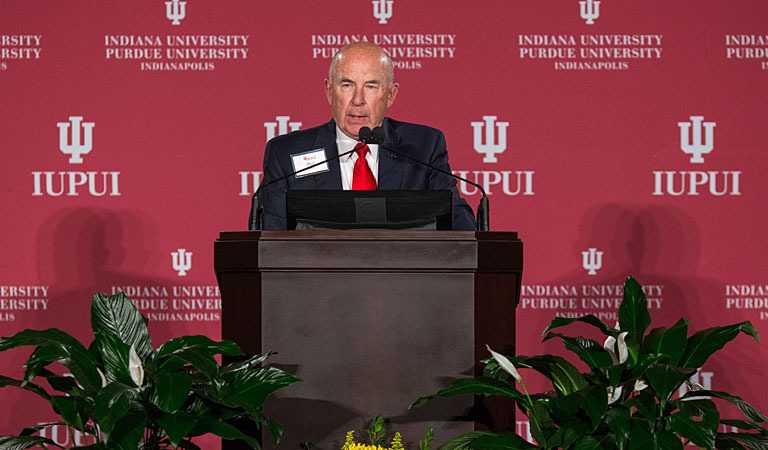 IU Trustee Phil Eskew gives his remarks and introduces Chancellor Nasser H. Paydar at the 2017 IUPUI Report to the Community. 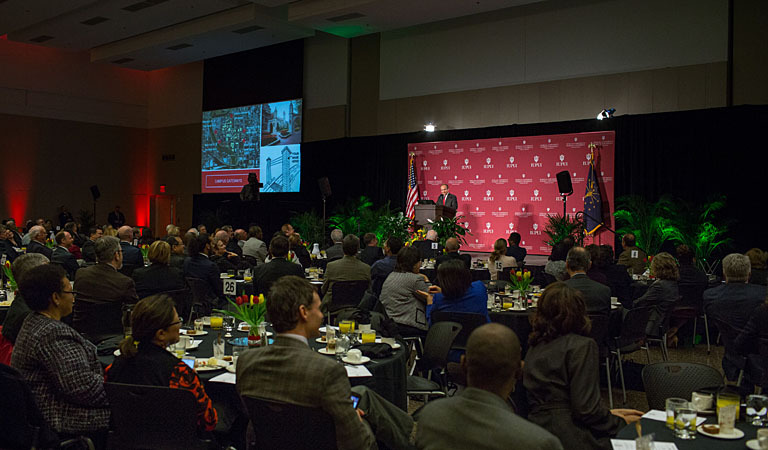 Hundreds gather for the 2017 IUPUI Report to the Community as Chancellor Paydar announces the future of gateways on the IUPUI campus. 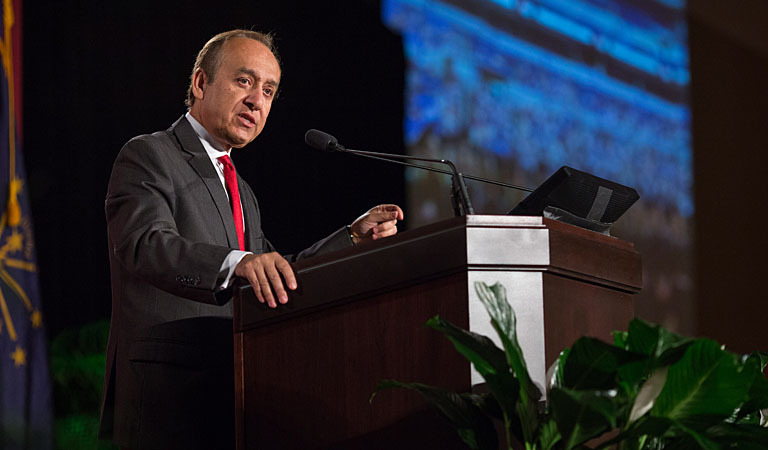 Chancellor Paydar presents the 2017 IUPUI Report to the Community.